Advanced Bionics is a global leader in developing one of the most advanced cochlear implant systems in the world. 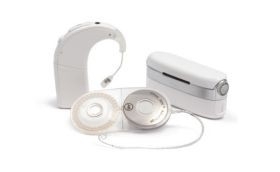 Founded in 1993 and working with Phonak under the Sonova Group since 2009, AB develops cutting-edge cochlear implant technology that restores hearing to the deaf and allows recipients to hear their best. The company’s mission to make a difference and history of innovations improve the quality of life for thousands of families affected by severe-to-profound hearing loss worldwide. Using the strength of Sonova’s global network, Advanced Bionics delivers cutting-edge hearing solutions and first-class service to many people around the world. Sonova is present in more than 90 countries. Advanced Bionics executive management is comprised of some of the industry’s most accomplished professionals. Together with dedicated teams in AB offices across the world, the company remains firmly committed to developing innovative and new technologies that improve lives and revolutionizes the hearing healthcare industry.